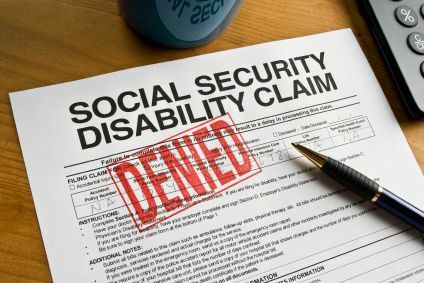 If your Social Security Disability application or your SSI Disability application is denied, you need to appeal. In the Social Security disability determination letter, Social Security told you the deadline for the appeal (usually 60 to 65 days from the date of the denial). You may feel discouraged. Don't give up! We can help you file your appeal and work to get you the benefits that you deserve. After a denial you need to file a Reconsideration Appeal or a Request for Hearing before an Administrative Law Judge. You can file your appeal at the Social Security Office. However, we are happy to file the appeal for you as well. We represent claimants frequently at the hearings in Providence, RI, Manchester, NH, Boston, MA and Springfield, MA. Because this is all we do, we are working on these appeals every single day. We think so. We have dedicated our practice to serving those who apply for Social Security Disability benefits. By narrowing our focus we have become knowledgeable about Social Security's standards for judging disability. By constantly bringing cases to the Social Security judges in New England, we have come to know the specific practices in those courts for Social Security disability eligibility. Statistics show that those who are represented by an attorney are more likely to be awarded benefits. You can call us toll free at (888) 904-6847 and talk to one of our paralegals or Social Security Disability lawyers during our regular office hours (8:30 AM to 5:30 PM) about SSI and disability benefits. During nights and weekends you can leave a message, or you can fill out our contact form, providing your name and telephone number, and we will call you back. There is no obligation or cost to call us or to fill out the form.